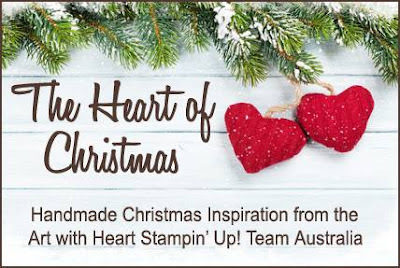 Hi everyone and welcome to week 14 of Christmas inspiration with Art with Heart Stampin'Up Team Australia. For todays card I used Tranquil Tide for the card base. On the Whisper white mat I stamped a tree from Lovely as a Tree Stamp set in Tranquil Tide and ran that through the big shot using the Gently Falling embosing folder (unfortunately you cant see it in the picture) over the top I layered a piece of vellum and ran that through the big shot using the Holly Embossing folder. The easel is from Painters Pallete stamp set which is stamped in Tranquil Tide and I used the Red Marker around the border and fussy cut it. I punched a 1inch circle in whisper white and used the softly falling folder and ran that through the big shot for a bit of texture and glued the Box Wreath around it, I used the Cookie Cutter punch for the the red circles from Red Glitter card stock. The red ribbon bow and the striped ribbon are from the new holiday catalogue which you may have already seen. 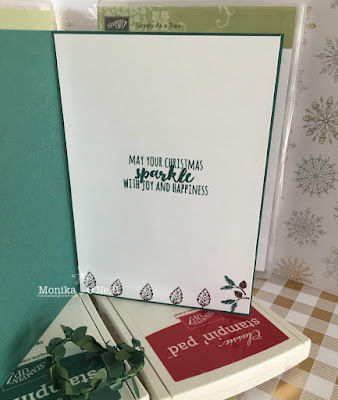 The sentiment is from Christmas Pines set using Real Red ink pad and cut it out using the Layering Squares Framelits. On top of the tree I used one of the stars from Harts & Stars elements. Hope you enjoyed this weeks card. 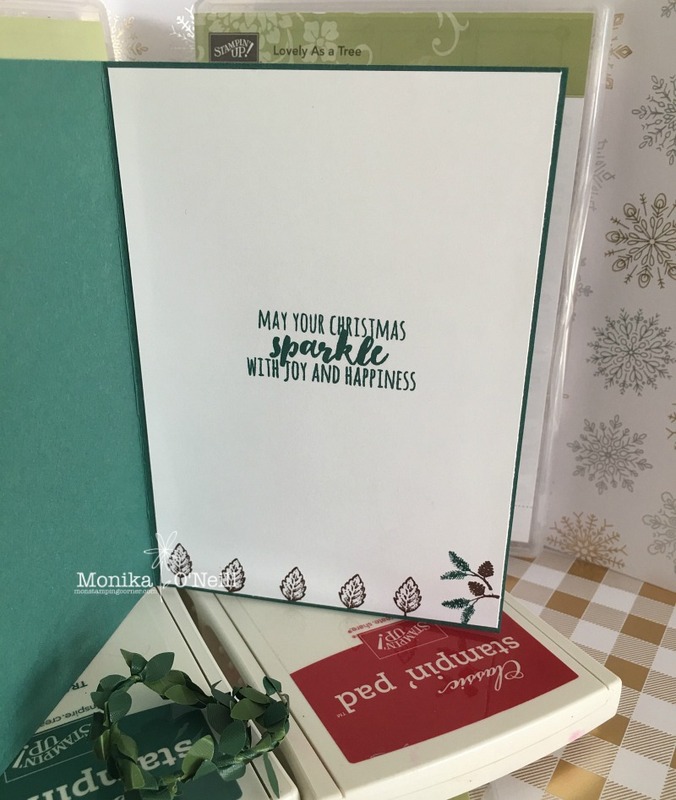 To see more beautiful inspiration from our very talented ladies you can view all our participants on our lovely Team Leader Claire's blog Have a great week and will see you again next week with some more great cards.